With great tea and coffee, comes great mugs. 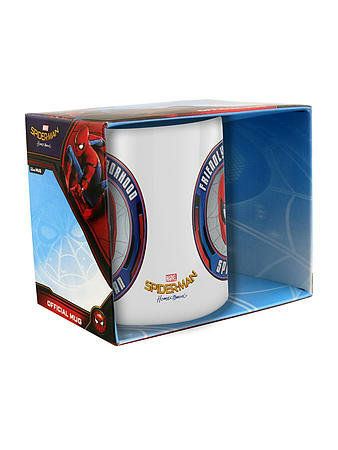 Drink yer cuppa in Spidey-style with this Spider-Man: Homecoming mug. 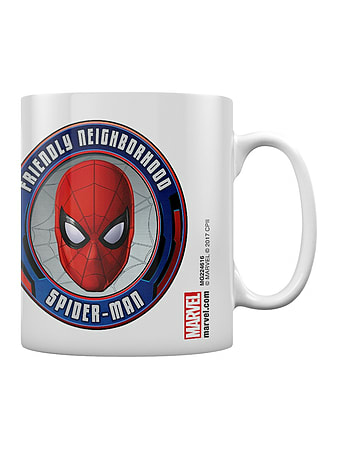 Featuring the famous slogan "Friendly Neighborhood Spider-Man" around a comic-book style Spider-Man, this white mug is a must have for all fans of the teen superhero! Official merchandise.